Tottenham moved second in the Premier League, for 48 hours at least, as a first-half flurry gave them a comfortable 3-0 win at Cardiff on New Year's Day. Spurs were in complete control early on through Harry Kane's messy finish (3), before Christian Eriksen's low strike from 20 yards gave him his fourth goal in five league games. Heung-Min Son scored from a tight angle to make it 3-0 (26), and though Spurs had some half-chances to add to their lead in the second half, keeping a clean sheet seemed their priority. 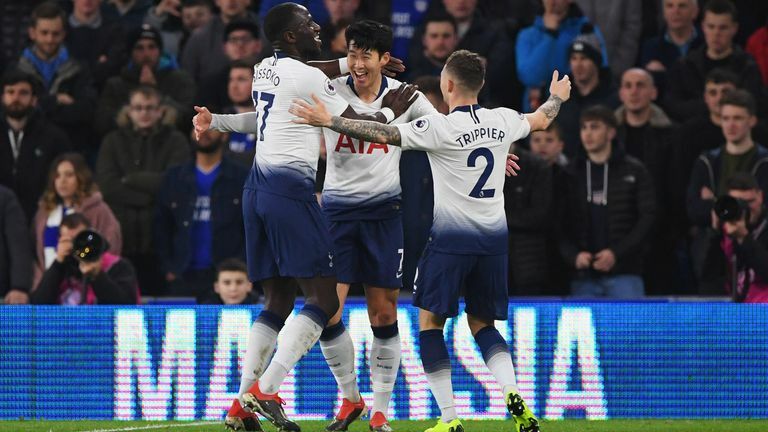 The result means Spurs are a point above Manchester City and six behind Liverpool, with their title rivals in action on Thursday evening at the Etihad, live on Sky Sports Premier League. Cardiff are 16th, three points above the drop zone. 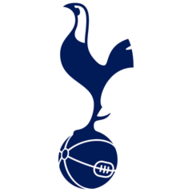 Looking to bounce back from their 3-1 defeat by Wolves on Saturday, Spurs were flying in the first half while barely moving out of second gear. Kane had them ahead with his 18th goal of the season as Sean Morrison failed to clear from close range, the ball ricocheting off Kane's thigh and past Neil Etheridge, meaning he has now scored against every Premier League side he has faced. It was 2-0 shortly after as Kane started a move down the right for Moussa Sissoko, who squared for Son who then pushed it along to Eriksen. The Dane took his time and slotted into the bottom left corner through the legs of Bruno Manga to wrong-foot Etheridge. 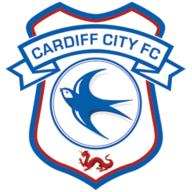 Cardiff made just one change following the win at Leicester; Hoilett made way for Reid on the wing. It was also just one change for Spurs as Rose came in for Davies at left-back. It was 3-0 after only 26 minutes through Son, who found the far left corner from an acute angle on the right of the box after Kane's touch had found him in space. Cardiff's first opportunity came after the break as sub Junior Hoilett saw a header well saved by Hugo Lloris from close range after Spurs let the ball bounce in the area, before Son came close to a second at the other end, only to be snuffed out by a combination of Sol Bamba and Etheridge. Spurs stayed in control and got their clean sheet, keeping them in the title race as attention turns to Thursday's huge clash at the Etihad. Neil Warnock: "We've got to start better. Against the good sides, if you give them the goals the confidence oozes and they can tear you apart. "I think we've done remarkably well in that first period, up to today, and you can't be too disappointed, you've just got to get on with it." Mauricio Pochettino: "First it is about the three points and then I don't want to see the table. Of course we are in a very good position, but we have to be consistent. Although he was afforded too much room in the final third, Eriksen was at the heart of everything Spurs did as they strolled back into second place. His finish for the second was so clever, knowing if he could get the ball through the legs of defender Manga, he would score. Special mentions also to Harry Kane and Heung-Min Son, but once again Eriksen was the catalyst. Spurs have won each of their four Premier League games against Cardiff - only Manchester City (7 v Bournemouth) and Arsenal (6 v Reading) have a better 100 per cent record against an opponent in the competition. Cardiff have conceded 25 goals across their games against the "big six" teams in the Premier League this season; the most of any side. Spurs striker Harry Kane has now scored against all 28 of the opponents he's faced in the Premier League, with this his first goal against Cardiff in his fourth appearance against them. Spurs now go to Tranmere in the FA Cup third round on Friday night, while Cardiff are at Gillingham on Saturday.